What Questions Do YOU have about Product Launching? I have been working on preparing my talk at Haven all about Product Launching. The one thing I am missing is YOU! I want to hear from you and what questions you are thinking or struggling with as you try to move your business forward. What questions do you have about product launching? I will use your input for my talk in Atlanta but I will also answer them here on the blog when I get back. Thank you for sharing and letting me know what you truly need help with! That word holds everything for me and it is no surprise that time and time again HOME has brought me to new places with my friends, family, creativity and business. We have created our business out of our home, have filmed more classes than I can count from our home, have packaged and shipped thousands and thousands of product over the years from our home and I have found that HOME is one of my strongest love languages. My love for family, faith and the art of gathering has allowed our home to become the safest of places to launch each new dream that we have had. 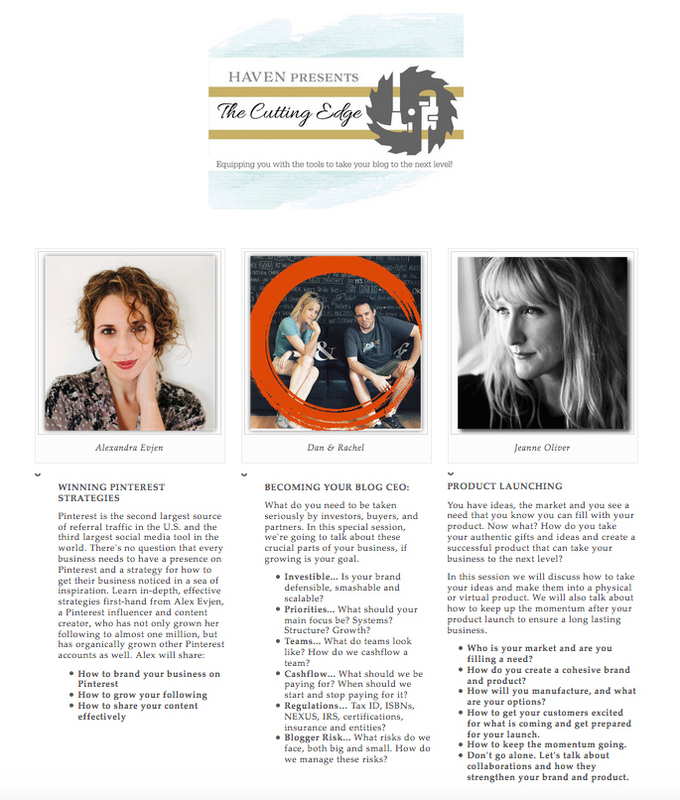 For those that know and love me it will come as no surprise that I will be speaking at the next Haven Conference. 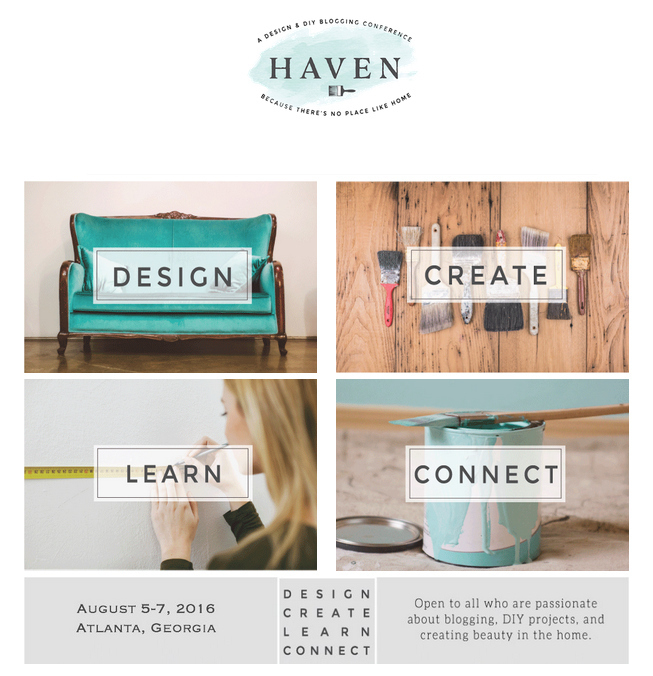 Haven is a blogging and design conference all about home. The whole conference is open to anyone “passionate about blogging, DIY projects and creating beauty in your home”. I am honored and excited to be speaking about how to launch your own product. I wish I had had a place like Haven to gather, connect, dream, brainstorm and learn when I was starting and later growing our business. Even if you have been creating a business for awhile now…I think we can forget how amazing it is to be encouraged, supported and inspired and what that does for you and your business. You have ideas, the market and you see a need that you know you can fill with your product. Now what? How do you take your authentic gifts and ideas and create a successful product that can take your business to the next level? In this session we will discuss how to take your ideas and make them into a physical or virtual product. We will also talk about how to keep up the momentum after your product launch to ensure a long lasting business. Who is your market and are you filling a need? How do you create a cohesive brand and product? How will you manufacture, and what are your options? How to get your customers excited for what is coming and get prepared for your launch. How to keep the momentum going. Don’t go alone. Let’s talk about collaborations and how they strengthen your brand and product. To read more about the weekend or to register click HERE. If you are coming please send me an email letting me know at contact@jeanneoliverdesigns.com. If you have specific questions about launching your own product I want to hear and would be honored to answer it at Haven.